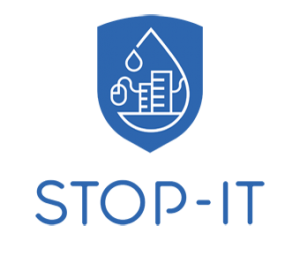 We are happy about your interest in STOP-IT and about your visit on our website, which is hosted by IWW Rheinisch-Westfälisches Institut für Wasserforschung gemeinnützige GmbH. We appreciate your trust in us and promise you to use the highest safety standards to protect your data from unauthorized access. We also would like to inform you what kind of data we save and how we use it. All personal data occurring within this framework will be referred to, processed and used for the objective of contract processing and for the business interests of STOP-IT regarding the support of our customers, according to the applicable regulations regarding the protection of personal data. The personal data you submit on the internet will not be passed on to any unauthorised third party outside of the company. Data logged during access to the internet gateway will only be transferred to third parties if we are obliged to do so by law or by order of a court, or if such a transfer is required for taking legal action. No data will be transferred for any other reason. You are entitled at all times to be informed about the data that has been stored in respect to your person. We have summarized the details according to §4e BDSG in our public directory of procedures. You may, however, browse our STOP-IT website without submitting any personal data and without registering at the website. In addition, it is possible to browse the website privately, using the privacy function of your browser. We do collect basic information (such as the language you are using or which browser or device you are using to access our websites) to provide better access to you. We would like to inform you that data transfer over the internet (e.g. during the communication by email) may have security holes. A complete data protection against access of third parties is therefore not possible. Objects of the company are to provide service in the fields of resource protection, water catchment, water technology, water quality control, -transport and –distribution, as well as management consulting regarding water in accordance with the benefit of the public, the broadening and deepening of professional competence in the fields of sustainable use of water in consideration of the scientific, ethnological, ecologically, economically and social context in accordance with the benefit of the public. The STOP-IT website is hosted at IWW Rheinisch-Westfälisches Institut für Wasserforschung gemeinnützige GmbH and collects a series of general data and information when you or an automated system calls up the website. This general data and information are stored in the server log files. Collected may be (1) the browser types and versions used, (2) the operating system used by the accessing system, (3) the website from which an accessing system reaches our website (so-called referrers), (4) the sub-websites, (5) the date and time of access to the internet site, (6) an internet protocol address (IP address), (7) the internet service provider of the accessing system, and (8) any other similar data and information that may be used in the event of attacks on our information technology systems. When using these general data and information, the IWW Rheinisch-Westfälisches Institut für Wasserforschung gemeinnützige GmbH does not draw any conclusions about you. Rather, this information is needed to (1) deliver the content of our website correctly, (2) optimize the content of our website as well as its advertisement, (3) ensure the long-term viability of our information technology systems and website technology, and (4) provide law enforcement authorities with the information necessary for criminal prosecution in case of a cyber-attack. Therefore, the IWW Rheinisch-Westfälisches Institut für Wasserforschung gemeinnützige GmbH analyzes anonymously collected data and information statistically, with the aim of increasing the data protection and data security of our enterprise, and to ensure an optimal level of protection for the personal data we process. The anonymous data of the server log files are stored separately from all personal data provided by you. These data can’t be connected to a certain person. A combination of these data with other data sources is not carried out. We reserve the right to review the data subsequently if there are concrete indications for illegal activities. To display external fonts, we use Google webfonts on our website. This is a service of Google LLC, 1600 Amphitheatre Parkway, Mountain View, CA 94043 USA, in the following only called „Google“. By certification through the EU-US Privacy Shield, Google guarantees to follow EU data protection guidelines when processing data in the USA. In order to display certain fonts on stop-it-project.eu, the website connects to the Google servers in the USA. Legal basis for this is Art. 6 Abs. 1 lit. f) DSGVO. Our legitimate interest lies in the optimization and the economical operation of our website. By connecting with the Google servers, Google will receive the information from which website you send your request and to which IP-address to transmit the display of the fonts. You may, at any time, prevent the setting of cookies through our website by means of a corresponding setting of the internet browser used, and may thus permanently deny the setting of cookies. Furthermore, already set cookies may be deleted at any time via an internet browser or other software programs. This is possible in all popular internet browsers. If you deactivate the setting of cookies in the internet browser used, not all functions of our website may be entirely usable though. We shall at any time provide information upon your request as to what personal data are stored about you. In addition, we shall correct or erase personal data at the request or indication of you, insofar as there are no statutory storage obligations. You can reach us over the contact information of the legal disclaimer of our website. We shall process and store the personal data of you only for the period necessary to achieve the purpose of storage, or as far as this is granted by the European legislator or other legislators in laws or regulations to which we are subject to. You have the possibility to register on our website with the indication of personal data. Which personal data are transmitted to us is determined by the respective input mask used for the registration. The personal data entered by you are collected and stored exclusively for internal use by us, and for our own purposes. We may request transfer to one or more processors (e.g. a parcel service) that also uses personal data for an internal purpose which is attributable to us. By registering on our website, the IP address—assigned by the internet service provider (ISP) and used by you—date and time of the registration are also stored. The storage of this data takes place against the background that this is the only way to prevent the misuse of our services, and, if necessary, to make it possible to investigate committed offenses. Insofar, the storage of this data is necessary to secure us. This data is not passed on to third parties unless there is a statutory obligation to pass on the data, or if the transfer serves the aim of criminal prosecution. The registration of you, with the voluntary indication of personal data, is intended to enable us to offer you contents or services that may only be offered to registered users due to the nature of the matter in question. Registered persons are free to change the personal data specified during the registration at any time, or to have them completely deleted from our data stock. We shall, at any time, provide information upon your request as to what personal data are stored about you. In addition, we shall correct or erase personal data at the request or indication of you, insofar as there are no statutory storage obligations. You can reach us over the contact information of the legal disclaimer of our website. On the website of STOP-IT, users are given the opportunity to subscribe to the project’s newsletter. The input mask used for this purpose determines what personal data are transmitted, as well as when the newsletter is ordered from us. The IWW Rheinisch-Westfälisches Institut für Wasserforschung gemeinnützige GmbH, which hosts the STOP-IT website, informs its customers and business partners regularly by means of a newsletter about project outcomes. The project newsletter may only be received by you if (1) you have a valid e-mail address and (2) register for the newsletter shipping. A confirmation e-mail will be sent to the e-mail address registered by you for the first time for newsletter shipping, for legal reasons, in the double opt-in procedure. This confirmation e-mail is used to prove whether the owner of the e-mail address is authorized to receive the newsletter. During the registration for the newsletter, we also store the IP address of the computer system assigned by the internet service provider (ISP) and used by you at the time of the registration, as well as the date and time of the registration. The collection of this data is necessary in order to understand the (possible) misuse of the e-mail address of you at a later date, and it therefore serves the aim of our legal protection. The personal data collected as part of a registration for the newsletter will only be used to send our newsletter. In addition, subscribers to the newsletter may be informed by e-mail, as long as this is necessary for the operation of the newsletter service or a registration in question, as this could be the case in the event of modifications to the newsletter offer, or in the event of a change in technical circumstances. There will be no transfer of personal data collected by the newsletter service to third parties. The subscription to our newsletter may be terminated by you at any time. The consent to the storage of personal data, which you have given for shipping the newsletter, may be revoked at any time. For the purpose of revocation of consent, a corresponding link is found in each newsletter. It is also possible to unsubscribe from the newsletter at any time through a link in the newsletter. On this website, we have integrated the Matomo component. Matomo is an open-source software tool for web analysis. Web analysis is the collection, gathering and evaluation of data on the behavior of visitors from internet sites. A web analysis tool collects, inter alia, data on the website from which you came to a website (so-called referrer), which pages of the website were accessed or how often and for which period of time a sub-page was viewed. A web analysis is mainly used for the optimization of a website and the cost-benefit analysis of internet advertising. The software is operated on our server, the data protection-sensitive log files are stored exclusively on this server. Matomo sets a cookie on the information technology system of you. The definition of cookies is explained above. With the setting of the cookie, an analysis of the use of our website is enabled. With each call-up to one of the individual pages of this website, the internet browser on the information technology system of you is automatically through the Matomo component prompted to submit data for the purpose of online analysis to our server. During the course of this technical procedure, we obtain knowledge about personal information, such as the IP address of you, which serves to understand the origin of visitors and clicks. The cookie is used to store personal information, such as the access time, the location from which access was made, and the frequency of visits to our website. With each visit of our internet pages, these personal data, including the IP address of the internet access used by you, are transferred to our server. These personal data will be stored by us. We do not forward this personal data to third parties. You may, as stated above, prevent the setting of cookies through our website at any time by means of a corresponding adjustment of the web browser used and thus permanently deny the setting of cookies. Such an adjustment to the used internet browser would also prevent Matomo from setting a cookie on the information technology system of you. In addition, cookies already in use by Matomo may be deleted at any time via a web browser or other software programs. In addition, you have the possibility of objecting to a collection of data relating to a use of this internet site that are generated by Matomo as well as the processing of these data by Matomo and the chance to preclude any such. For this, you must set a „Do Not Track“ option in the browser. With each setting of the opt-out cookie, however, there is the possibility that our websites are no longer fully usable for you. The STOP-IT website contains information that enables a quick electronic contact to our project, as well as direct communication with us, which also includes a general address of the so-called electronic mail (e-mail address). If you contact us by e-mail or via a contact form, the personal data transmitted by you are automatically stored for the purpose of processing or contacting you. There is no transfer of this personal data to third parties. With each call-up to one of the individual pages of this internet website, which is operated by us and into which a Facebook component (Facebook plug-ins) was integrated, the web browser on the information technology system of you is automatically prompted to download display of the corresponding Facebook component from Facebook through the Facebook component. An overview of all the Facebook Plug-ins may be accessed under https://developers.facebook.com/docs/plugins/. During the course of this technical procedure, Facebook is made aware of what specific sub-site of our website was visited by you. If you are logged in at the same time on Facebook, Facebook detects with every call-up to our website by you—and for the entire duration of their stay on our internet site—which specific sub-site of our internet page was visited by you. This information is collected through the Facebook component and associated with the respective Facebook account of you. If you click on one of the Facebook buttons integrated into our website, e.g. the „Like“ button, or if you submit a comment, then Facebook matches this information with your personal Facebook user account and stores the personal data. The data protection guideline published by Facebook, which is available at https://facebook.com/about/privacy/, provides information about the collection, processing and use of personal data by Facebook. In addition, it is explained there what setting options Facebook offers to protect the privacy of you. In addition, different configuration options are made available to allow the elimination of data transmission to Facebook. These applications may be used by you to eliminate a data transmission to Facebook. With each call-up to one of the individual pages of this internet site, which is operated by us and on which a LinkedIn component (LinkedIn plug-in) was integrated, the internet browser on the information technology system of you is automatically prompted to the download of a display of the corresponding LinkedIn component of LinkedIn. Further information about the LinkedIn plug-in may be accessed under https://developer.linkedin.com/plugins. During the course of this technical procedure, LinkedIn gains knowledge of what specific sub-page of our website was visited by you. If you are logged in at the same time on LinkedIn, LinkedIn detects with every call-up to our website by you—and for the entire duration of their stay on our internet site—which specific sub-page of our internet page was visited by you. This information is collected through the LinkedIn component and associated with the respective LinkedIn account of you. If you click on one of the LinkedIn buttons integrated on our website, then LinkedIn assigns this information to the personal LinkedIn user account of you and stores the personal data. LinkedIn receives information via the LinkedIn component that you have visited our website, provided that you are logged in at LinkedIn at the time of the call-up to our website. This occurs regardless of whether you click on the LinkedIn button or not. If such a transmission of information to LinkedIn is not desirable for you, then you may prevent this by logging off from your LinkedIn account before a call-up to our website is made. With each call-up to one of the individual pages of this internet site, which is operated by us and on which a Twitter component (Twitter button) was integrated, the internet browser on the information technology system of you is automatically prompted to download a display of the corresponding Twitter component of Twitter. Further information about the Twitter buttons is available under https://about.twitter.com/de/resources/buttons. During the course of this technical procedure, Twitter gains knowledge of what specific sub-page of our website was visited by you. The purpose of the integration of the Twitter component is a retransmission of the contents of this website to allow our users to introduce this web page to the digital world and increase our visitor numbers. If you are logged in at the same time on Twitter, Twitter detects with every call-up to our website by you, and for the entire duration of their stay on our internet site, which specific sub-page of our internet page was visited by you. This information is collected through the Twitter component and associated with the respective Twitter account of you. If you click on one of the Twitter buttons integrated on our website, then Twitter assigns this information to your personal Twitter user account and stores the personal data. With each call-up to one of the individual pages of this internet site, which is operated by us and on which a YouTube component (YouTube video) was integrated, the internet browser on the information technology system of you is automatically prompted to download a display of the corresponding YouTube component. During the course of this technical procedure, YouTube and Google gain knowledge of what specific sub-page of our website was visited by you. If you are logged in on YouTube, YouTube recognizes with each call-up to a sub-page that contains a YouTube video, which specific sub-page of our internet site was visited by you. This information is collected by YouTube and Google and assigned to the respective YouTube account of you. YouTube and Google will receive information through the YouTube component that you have visited our website, if you at the time of the call to our website are logged in on YouTube; this occurs regardless of whether you click on a YouTube video or not. If such a transmission of this information to YouTube and Google is not desirable for you, the delivery may be prevented if you log off from your own YouTube account before a call-up to our website is made.